"Fresh fruit waters, or Aguas de Frutas, made with crushed or blended fruit are a common and popular drink all over Mexico. 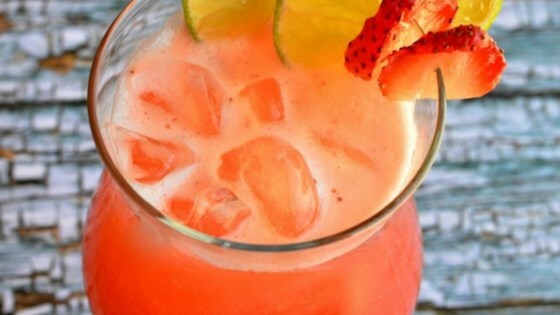 This recipe is extremely flavorful and refreshing, especially when fresh strawberries are in season." This was okay. I don't think I'll spend all that time cutting the fruit for this though. Good, but not that good. I wasn't expecting much from this recipe, just flavored water. However, it's really refreshing and definitely needs to sit overnight to develop the flavor. Followed the recipe exactly and it was just what I was looking for! I love this stuff. I can't wait to make it again! Good with a splash of club soda, too, if you want it a little fizzy.